This weekend is the Queen's diamond Jubilee and, weather permitting, I'm sure there are lots of you heading to street parties, local fayres or even going to Derby day to celebrate with the Queen there! If you're looking to dress in the patriotic colours but not used to wearing red, white or blue, here we will show you some great patriotic products that can help you celebrate in style. This ASOS dress is a great lightweight, loose fitting item, ideal if you're going for a picnic and need to sit on the floor. Wear with a white belt and red jewellery and you're flying all three colours of the flag! If you're on the hunt for a more casual look this red blouse from M&S is a great summer wardrobe item, and the vibrant red helps show your support of the Jubilee celebrations. If you're feeling daring, pair with some white shorts, or even with blue jeans to help complete the look. Barbour, one of Britain's heritage brands is selling this great Union Jack bag, ideal for picnics, shopping or even as a beach bag. In-case the weather doesn't hold up, these wellies are a great way to get into the Jubilee spirit! 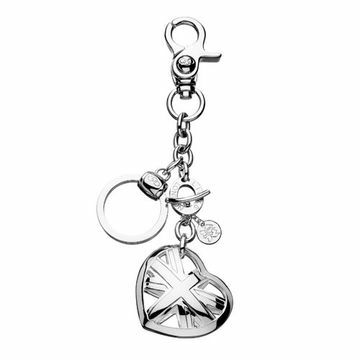 Finally, this cute bag charm from Links of London is a fun way to show your patriotic side, and a good way of adding some sparkle to a tired handbag!